Knowing a God with his hands well and truly on the steering wheel should bring great comfort to believers. Knowing a God with his hands well and truly on the steering wheel should bring great comfort to believers. But often it just leaves us scratching our heads in confusion. Why then do bad things happen? Where does that leave 'free will'? Does God choose us or do we choose God? What's the point of praying if God already knows what he's going to do? 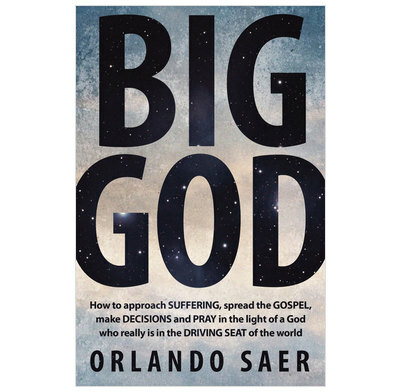 Orlando Saer tackles these questions - and more - in a straightforward and engaging way. If you sometimes struggle to understand the way God works in the world, or to explain it to others, you will find light here. You'll also be left with a new appreciation of just how big the God of the Bible really is. Orlando specifically avoids tackling tricky theological terms like sovereignty, Deism, or Calvinism which might put off readers. Instead, he opts to let the Bible speak clearly and then carefully applies it to everyday issues of suffering, evangelism, decision-making, and prayer.